© Business Over Broadway (2018). Based on Kaggle’s State of Data Science Survey 2017 (Sample size: 10,153). It is indeed true that Machine Learning can be quite good at dealing with some types or bad or missing data. But no technology or approach is going to be able to paper over all of the cracks if your data is essentially incomplete and of poor quality. This point (together with some others below) speaks to the need to not approach Data Science on a stand-alone basis, but as part of a more holistic approach to data matters . Findings are one thing; using these to take action is quite another. At the end of the day, most ventures are successful or fail because of people; the people conducting the venture, the people receiving its intended benefits and so on. Ignore this dimension of data work (or any type of work) at your peril . While in some circumstances the data can indeed “speak for itself”, it makes a lot more sense for Data Scientists to partner with business colleagues to both get direction and to help ensure that their findings lead to action . These first appear outside of the Top 10 (and 11 is a bit dubious to include here – it relates more to a proliferation of tools than to issues with any of them). I would never say that tools and technology are unimportant, but they are typically much less important than other considerations . The overriding point is of course that – much as I noted out recently in Convergent Evolution – there is little new under the Sun. A survey of Business Intelligence / Data Warehousing professionals back in 2010 would have generated something very like the list above. A survey of EIS  professionals back in 2000 would have done the same. Here too, little is new under the Sun. I have been referring to essentially these same four pillars of good practice since the mid 2000s. Some of our technological advances since then have been amazing. The prospect of leveraging the power of both Data Science and Artificial Intelligence in a business context is very exciting. But to truly succeed with these newer approaches, it helps to recall the eternal verities that have always underpinned good data-centric work . The survey above makes this point crystal clear. A final corollary to this observation is something I covered in A truth universally acknowledged…. The replies to the Kaggle survey highlight the fact that, much like the conductor of an orchestra does not need to be able to play the violin to a virtuoso level, people leading Data Science teams (and broader Data Functions) need a set of rounded skills, ones honed to address the types of issues appearing in the exhibits above. The skill-set that makes for an excellent Data Scientist does not necessarily help so much with many of the less technical issues that will determine the success or failure of Data Science teams. Other Yogi-isms included, “Always go to other people’s funerals; otherwise they won’t go to yours”, “You can observe a lot by watching” and “If you can’t imitate him, don’t copy him”. A Data Visualisation challenge to include that much text I realise. I think I might have been tempted to come up with pithier categories to aid legibility. Ignoring “I prefer not to say” and “Other”. As laid out in my many articles about the importance of Cultural Transformation. See: Building Momentum – How to begin becoming a Data-driven Organisation. I make precisely this point in my recent interview for Venturi Voice (starting just after 31:38). I make this point most forcibly back in: A bad workman blames his [Business Intelligence] tools. The technology may be different, but the learnings are just as relevant today. Executive Information Systems for those of tender years. Machine learning techniques can clearly help here, but only if in concert with dialogue with people actually on the front-line and leading business areas. In your search for such eternal verities, you could do much worse than starting with: 20 Risks that Beset Data Programmes. The interviews that I conduct with leaders in their fields as part of my “In-depth” series have hopefully brought a new and interesting aspect to this site. However, often the boot is on the other foot and I am the person being interviewed about my experience and expertise in the data field and related matters . Maybe interviewing other people helps me when I am in turn interviewed, maybe it’s the other way round. Whatever the case, I enjoyed recording the two conversations appearing below (thanks to the interviewers in both cases) and hope that the content is of interest to readers. In both instances a link to the site originally publishing the interview is followed by a locally hosted version of the audio track and then a download option. I’d encourage readers to explore the other excellent interviews contained on both sites. If you would like to interview me for your site or periodical, of if you are just interested in further exploring some of the themes I discuss in these two interviews, then please feel free to get in contact. A list of other video interviews and podcasts I have taken part in can be viewed in the Media section of this site. Today’s interview is with Roberto Maranca. Roberto is an experienced and accomplished Chief Data Officer, having held that role in GE Capital and Lloyds Banking Group. Roberto and I are both founder members of the IRM(UK) Chief Data Officer Executive Forum and I am delighted to be able to share the benefit of his insights with readers. Roberto, you have had a long and distinguished career in the data space, would you mind starting by giving readers a brief overview of this? Certainly Peter, looking back now Data has been like a river flowing through all my career. But I can definitely recall that, at a certain point in my life in GE Capital (GEC), someone who I had worked with before called me to take a special assignment as IT lead for the Basel II implementation for the Bank owned by GEC in Europe. For the readers not in the Finance industry, Basel II, for most of us and certainly for me, was our Data baptism of fire because of its requirement to collect a lot of data across the organisation in order to calculate an “enterprise wide” set of risk metrics. So the usual ETL build and report generation wasn’t good enough if not associated to a common dictionary, validation of mappings, standardised referential integrity and quality management. When Basel went in production in 2008, I was given the leadership of the European Business Intelligence team, where I consolidated my hunch that the reason that a 6 months dashboard build project would fail pre-production tests was mainly “data is not good enough” and not our lack of zeal. Even if was probably amongst the first in GEC to adopt a Data Quality tool, you had the feeling that IT could not be the proverbial tail shaking the dog in that space. A few years went by where I became much closer to operations in a regulated business, learning about security and operational risk frameworks, and then one day at the end of 2013, I saw it! GEC was to be regulated by the Federal Reserve as one entity, and that posed a lot of emphasis on data. The first ever job description of CDO in GEC was flashed in front of my eyes and I felt like I had just fallen on the way to Damascus. All those boxes that had been empty for years in my head got ticked just looking at it. I knew this was what I wanted to do, I knew I had to leave my career in IT to do it, I knew there was not a lot beyond that piece of paper, but I went for it. Sadly, almost two years into this new role, GE decided to sell GEC; you would not believe how much data you need to divest such a large business. I found that Lloyds Banking Group was after a CDO and I could not let that opportunity go by. It has been a very full year where I led a complete rebuild of their Data Framework, while been deeply involved in the high-profile BCBS239 and GDPR initiatives. Can you perhaps highlight a single piece of work that was important to you, added a lot of value to the organisation, or which you were very proud of for some other reason? I always had a thing about building things to last, so I have always tried to achieve a sustainable solution that doesn’t fall apart after a few months (in Six Sigma terms you will call it “minimising the long term sigma shift”, but we will talk about it another time). So trying to have change process to be mindful of “Data” has been my quest since day one, in the job of CDO. For this reason, my most important piece of work was probably the the creation of the first link between the PMO process in GEC and the Data Lineage and Quality Assurance framework, I had to insist quite a bit to introduce this, design it, test it and run it. Now of course, after the completion of the GEC sale, it has gone lost “like tears in the rain”, to cite one of the best movies ever . What was your motivation to take on Chief Data Officer roles and what do you feel that you bring to the CDO role? I touched on some reasons in my introductory comments. I believe there is a serendipitous combination of acquired skills that allows me to see things in a different way. I spent most of my working life in IT, but I have a Masters in Aeronautical Engineering and a diploma in what we in Italy call “Classical Studies”, basically I have A levels in Latin, Greek, Philosophy, History. So for example, together with my pilot’s licence achieved over weekends, I have attended a drama evening school for a year (of course in my bachelor days). Jokes apart, the “art” of being a CDO requires a very rich and versatile background because it is so pioneering, ergo if I can draw from my study of flow dynamics to come up with a different approach to lineage, or use philosophy to embed a stronger data driven culture, I feel it is a marked plus. We have spoken about the CDO role being one whose responsibilities and main areas of focus are still sometimes unclear. I have written about this recently . How do you think the CDO role is changing in organisations and what changes need to happen? I mentioned the role being pioneering: compared to more established roles, CFO, COO and, even, CIO, the CDO is suffering from ambiguity, differing opinions and lack of clear career path. All of us in this space have to deal with something like inserting a complete new organ in a body that has got very strong immunological response, so although the whole body is dying for the function that the new organ provides (and with the new breed of regulation about, dying for lack of good and reliable data is not an exaggeration), there is a pernickety work of linking up blood vessels and adjusting every part of the organisation so that the change is harmonious, productive and lasting. But every company starts from a different level of maturity and a different status quo, so it is left to the CDO to come up with a modus operandi that would work and bring that specific environment to a recognisable standard. 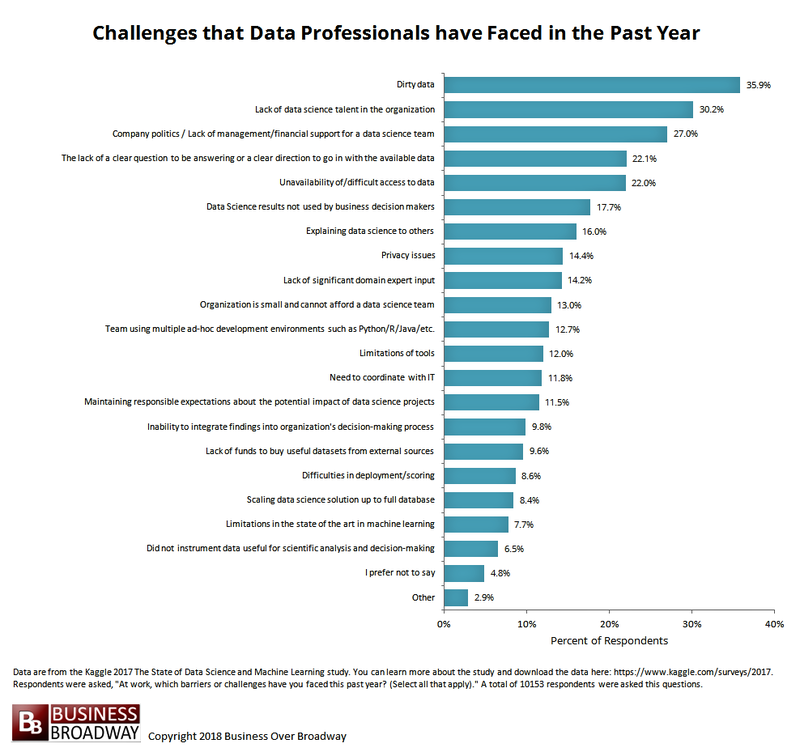 The Chief Data Officer has been described as having “the toughest job in the executive C-suite within many organizations” . Do you agree and – if so – what are the major challenges? I agree and it simply demonstrated: pick any Company’s Annual Report, do a word search for “data quality”, “data management“, “data science” or anything else relevant to our profession, you are not going to find many. IT has been around for a while more and yet technology is barely starting now to appear in the firm’s “manifesto”, mostly for things that are a risk, like cyber security. Thus the assumption is, if it is not seen as a differentiator to communicate to the shareholders and the wider world, why should it be of interest for the Board? It is not anyone’s fault and my gut feeling is that GDPR (or perhaps Cambridge Analytica) is going to change this, but we probably need another generational turnover to have CDOs “safely” sitting in executive groups. In the meantime, there is a lot we can do, maybe sitting immediately behind someone who is sitting in that crucial room. We both believe that cultural change has a central role in the data arena, can you share some thoughts about why this is important? Data can’t be like a fad diet, it can’t be a program you start and finish. Companies have to understand that you have to set yourself on a path of “permanent augmentation”. The only way to do this is to change for good the attitude of the entire company towards data. Maybe starting from the first ambiguity, data is not the bits and bytes coming out of a computer screen, but it is rather the set of concepts and nouns we use in our businesses to operate, make products, serve our customers. If you flatten your understanding of data to its physical representation, you will never solve the tough enterprise problems, henceforth if it is not a problem of centralisation of data, but it is principally a problem of centralisation of knowledge and standardisation of behaviours, it is something inherently close to people and the common set of things in a company that we can call “culture”. Accepting the importance of driving a cultural shift, what practical steps can you take to set about making this happen? Pure truth cannot be assimilated by the crowd: it must be communicated by contagion. This is especially the case when you are confronted with large numbers of colleagues and small data teams. Creating a simple mantra that can be inoculated in many part of the organisation helps to create a more receptive environment. So CDOs should first be keen marketeers, able to create a simple brand and pursuing relentlessly a “propaganda” campaign. Secondly, if you want to bring change, you should focus where the change happens and make sure that wherever the fabric of the company changes, i.e. big programmes or transformations, data is top priority. What are the potential pitfalls that you think people need to be aware of when embarking on a data-centric cultural transformation programme? First is definitely failing to manage your own expectations on speed and acceptance; it takes time and patience. Long-established organisations cannot leap into a brighter future just because an enlightened CDO shows them how. Second, and sort of related, it is a problem thinking that things can happen by management edicts and CDO policy compliance, there is a lot niftier psychology and sociology to weave into this. A two-part question. What do you see as the role of Data Governance in the type of cultural change you are recommending? Also, do you think that the nature of Data Governance has either changed or possibly needs to change in order to be more effective? The CDO’s arrival at a discussion table is very often followed by statements like “…but we haven’t got resources for the Governance” or “We would like to, but Data Governance is such an aggro”. My simple definition for Data Governance is a process that allows Approved Data Consumers to obtain data that satisfies their consumption requirements, in accordance with Company’s approved standards of traceability, meaning, integrity and quality. Under this definition there is no implied intention of subjecting colleagues to gruelling bureaucratic processes, the issue is the status quo. Today, in the majority of firms, without a cumbersome process of checks and balances, it is almost impossible to fulfil such definition. The best Data Governance is the one you don’t see, it is the one you experience when you to get the data you need for your job without asking, this is the true essence of Data Democratisation, but few appreciate that this is achieved with a very strict and controlled in-line Data Governance framework sitting on three solid bastions of Metadata, User Access Controls and Data Classification. Can you comment on the relationship between the control of data and its exploitation; between Analytics and Governance if you will?Do these areas need to both be part of the CDO’s remit? Oh… this is about the tale of the two tribes isn’t it? The Governors vs. the Experimenters, the dull CDOs vs the funky CAOs. Of course they are the yin and the yang of Data, you can’t have proper insight delivered to your customer or management if you have a proper Data Governance process, or should we call it “Data Enablement” process from the previous answer. I do believe that the next incarnation of the CDO is more a “Head of Data”, who has got three main pillars underneath, one is the previous CDOs all about governance, control and direction, the second is your R&D of data, but the third one that getting amassed and so far forgotten is the Operational side, the Head of Data should have business operational ownership of the critical Data Assets of the Company. The cultural aspects segues into thinking about people. How important is managing the people dimension to a CDO’s success? Immensely. Ours is a pastoral job, we need to walk around, interact on internal social media, animate communities, know almost everyone and be known by everyone. People are very anxious about what we do, because all the wonderful things we are trying to achieve, they believe, will generate “productivity” and that in layman’s terms mean layoffs. We can however shift that anxiety to curiosity, reaching out, spreading the above-mentioned mantra but also rethinking completely training and reskilling, and subsequently that curiosity should transform in engagement which will deliver sustainable cultural change. I have heard you speak about “intelligent data management” can you tell me some more about what you mean by this? Does this relate to automation at all? My thesis at Uni in 1993 was using AI algorithms and we all have been playing with MDM, DQM, RDM, Metadata for ages, but it doesn’t feel we cracked yet a Science of Data (NB this is different Data Science!) that could show us how to resolve our problems of managing data with 21st century techniques. I think our evolutionary path should move us from “last month you had 30k wrong postcodes in your database” to “next month we are predicting 20% fewer wrong address complaints”, in doing so there is an absolute need to move from fragmented knowledge around data to centralised harnessing of the data ecosystem, and that can only be achieved tuning in on the V.O.M. (Voice of the Machines), listening, deriving insight on how that ecosystem is changing, simulating response to external or internal factors and designing changes with data by design (or even better with everything by design). I yet have to see automated tools that do all of that without requiring man years to decide what is what, but one can only stay hopeful. Finally, how do you see the CDO role changing in coming years? To the ones that think we are a transient role, I respond that Compliance should be everyone’s business, and yet we have Compliance Officers. I think that overtime the Pioneers will give way to the Strategists, who will oversee the making of “Data Products” that best suit the Business Strategist, and maybe one day being CEO will be the epitome of our career ladders one day, but I am not rushing to it, I love too much having some spare time to spend with my family and sailing. Roberto, it is always a pleasure to speak. Thank you for sharing your ideas with us today. Roberto Maranca can be reached at r.maranca@outlook.com and has social media presence on LinkedIn and Twitter (@RobertoMaranca). Disclosure: At the time of publication, neither peterjamesthomas.com Ltd. nor any of its Directors had any shared commercial interests with Roberto Maranca. Randy Bean of New Vantage Partners quoted in The CDO – A Dilemma or The Next Big Thing? The above list may have descended into farce towards the end, but I would argue that the problems started to occur much earlier. The above is not a description of what is required to be a successful CDO, it’s a description of a Swiss Army Knife. There is also the minor practical point that, out of a World population of around 7.5 billion, there may well be no one who ticks all the boxes . Of course a CEO needs to be none of the above, they need to be a superlative leader who is expert at running an organisation (even then, they may focus on plotting the way forward and leave the day to day running to others). For the avoidance of doubt, I am not saying that a CEO requires no domain knowledge and has no expertise, they would need both, however they don’t have to know every aspect of company operations better than the people who do it. The same argument applies to CDOs. Domain knowledge probably should span most of what is in the job description (save for maybe the three items with footnotes), but knowledge is different to expertise. As CDOs don’t grow on trees, they will most likely be experts in one or a few of the areas cited, but not all of them. Successful CDOs will know enough to be able to talk to people in the areas where they are not experts. They will have to be competent at hiring experts in every area of a CDO’s purview. But they do not have to be able to do the job of every data-centric staff member better than the person could do themselves. Even if you could identify such a CDO, they would probably lose their best staff very quickly due to micromanagement. A CDO has to be a conductor of both the data function orchestra and of the use of data in the wider organisation. This is a talent in itself. An internationally renowned conductor may have previously been a violinist, but it is unlikely they were also a flautist and a percussionist. They do however need to be able to tell whether or not the second trumpeter is any good or not; this is not the same as being able to play the trumpet yourself of course. The conductor’s key skill is in managing the efforts of a large group of people to create a cohesive – and harmonious – whole. The CDO is of course still a relatively new role in mainstream organisations . Perhaps these job descriptions will become more realistic as the role becomes more familiar. It is to be hoped so, else many a search for a new CDO will end in disappointment. Well if a production company can get away with Pride and Prejudice and Zombies, then I feel I am on reasonably solid ground here with this title. I also seem to be riffing on JA rather a lot at present, I used Rationality and Reality as the title of one of the chapters in my [as yet unfinished] Mathematical book, Glimpses of Symmetry. Wanted – Chief Data Officer. Most readers will immediately spot the obvious mistake here. Of course all three of these requirements should be mandatory. To take just one example, gaining a PhD in a numerical science, a track record of highly-cited papers and also obtaining an MBA would take most people at least a few weeks of effort. Is it likely that such a person would next focus on a PRINCE2 or TOGAF qualification? I discuss some elements of the emerging consensus on what a CDO should do in: 5 Themes from a Chief Data Officer Forum and 5 More Themes from a Chief Data Officer Forum. This article draws extensively on elements of the framework I use to both highlight and manage risks on data programmes. It has its genesis in work that I did early in 2012 (but draws on experience from the years before this). I have tried to refresh the content since then to reflect new thinking and new developments in the data arena. What are my motivations in publishing this article? Well I have both designed and implemented data and information programmes for over 17 years. In the majority of cases my programme work has been a case of executing a data strategy that I had developed myself . While I have generally been able to steer these programmes to a successful outcome , there have been both bumps in the road and the occasional blind alley, requiring a U-turn and another direction to be selected. I have also been able to observe data programmes that ran in parallel to mine in different parts of various organisations. Finally, I have often been asked to come in and address issues with an existing data programme; something that appears to happens all too often. In short I have seen a lot of what works and what does not work. Having also run other types of programmes , I can also attest to data programmes being different. Failure to recognise this difference and thus approaching a data programme just like any other piece of work is one major cause of issues . Before I get into my list proper, I wanted to pause to highlight a further couple of mistakes that I have seen made more than once; ones that are more generic in nature and thus don’t appear on my list of 20 risks. The first is to assume that the way that an organisation’s data is controlled and leveraged can be improved in a sustainable way by just kicking off a programme. What is more important in my experience is to establish a data function, which will then help with both the governance and exploitation of data. This data function, ideally sitting under a CDO, will of course want to initiate a range of projects, from improving data quality, to sprucing up reporting, to establishing better analytical capabilities. Best practice is to gather these activities into a programme, but things work best if the data function is established first, owns such a programme and actively partakes in its execution. As well as the issue of ongoing versus transitory accountability for data and the undoubted damage that poorly coordinated change programmes can inflict on data assets, another driver for first establishing a data function is that data needs will always be there. On the governance side, new systems will be built, bought and integrated, bringing new data challenges. On the analytical side, there will always be new questions to be answered, or old ones to be reevaluated. While data-centric efforts will generate many projects with start and end dates, the broad stream of data work continues on in a way that, for example, the implementation of a new B2C capability does not. The second is to believe that you will add lasting value by outsourcing anything but targeted elements of your data programme. This is not to say that there is no place for such arrangements, which I have used myself many times, just that one of the lasting benefits of gimlet-like focus on data is the IP that is built up in the data team; IP that in my experience can be leveraged in many different and beneficial ways, becoming a major asset to the organisation . Having made these introductory comments, let’s get on to the main list, which is divided into broadly chronological sections, relating to stages of the programme. The 10 risks which I believe are either most likely to materialise, or which will probably have the greatest impact are highlighted in pale yellow. 1. Not appreciating the size of work for both business and technology resources. Team is set up to fail – it is neither responsive enough to business needs (resulting in yet more “unofficial” repositories and additional fragmentation), nor is appropriate progress is made on its central objective. 2. Not establishing a dedicated team. The team never escapes from “the day job” or legacy / BAU issues; the past prevents the future from being built. 3. Not establishing a unified and collaborative team. Team is plagued by people pursuing their own agendas and trashing other people’s approaches, this consumes management time on non-value-added activities, leads to infighting and dissipates energy. 4. Staff lack skills and prior experience of data programmes. Time spent educating people rather than getting on with work. Sub-optimal functionality, slippages, later performance problems, higher ongoing support costs. 5. Not establishing an appropriate management / governance structure. Programme is not aligned with business needs, is not able to get necessary time with business users and cannot negotiate the inevitable obstacles that block its way. As a result, the programme gets “stuck in the mud”. 6. Failing to recognise ongoing local needs when centralising. Local business units do not have their pressing needs attended to and so lose confidence in the programme and instead go their own way. This leads to duplication of effort, increased costs and likely programme failure. With risk 2 an analogy is trying to build a house in your spare time. If work can only be done in evenings or at the weekend, then this is going to take a long time. Nevertheless organisations too frequently expect data programmes to be absorbed in existing headcount and fitted in between people’s day jobs. We can we extend the building metaphor to cover risk 4. If you are going to build your own house, it would help that you understand carpentry, plumbing, electricals and brick-laying and also have a grasp on the design fundamentals of how to create a structure that will withstand wind rain and snow. Too often companies embark on data programmes with staff who have a bit of a background in reporting or some related area and with managers who have never been involved in a data programme before. This is clearly a recipe for disaster. Risk 5 reminds us that governance is also important – both to ensure that the programme stays focussed on business needs and also to help the team to negotiate the inevitable obstacles. This comes back to a successful data programme needing to be more than just a technology project. 7. Poor programme management. The programme loses direction. Time is expended on non-core issues. Milestones are missed. Expenditure escalates beyond budget. 8. Poor programme communication. Stakeholders have no idea what is happening . The programme is viewed as out of touch / not pertinent to business issues. Steering does not understand what is being done or why. Prospective users have no interest in the programme. 9. Big Bang approach. Too much time goes by without any value being created. The eventual Big Bang is instead a damp squib. Large sums of money are spent without any benefits. 10. Endless search for the perfect solution / adherence to overly theoretical approaches. Programme constantly polishes rocks rather than delivering. Data models reflect academic purity rather than real-world performance and maintenance needs. 11. Lack of focus on interim deliverables. Business units become frustrated and seek alternative ways to meet their pressing needs. This leads to greater fragmentation and reputational damage to programme. 12. Insufficient time spent understanding source system data and how data is transformed as it flows between systems. Data capabilities that do not reflect business transactions with fidelity. There is inconsistency with reports directly drawn from source systems. Reconciliation issues arise (see next point). 13. Poor reconciliation. If analytical capabilities do not tell a consistent story, they will not be credible and will not be used. 14. 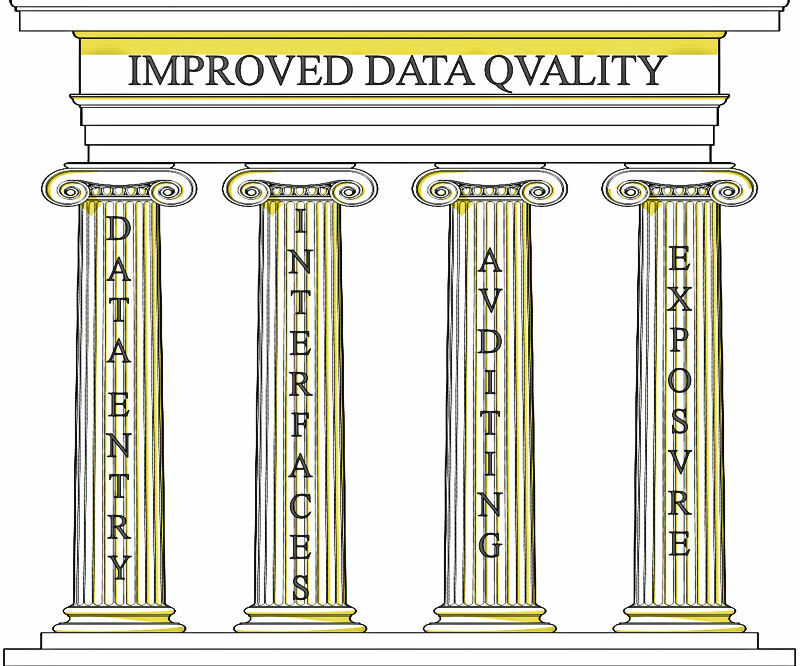 Strong approach to data quality. Data facilities are seen as inaccurate because of poor data going into them. Data facilities do not match actual business events due to either massaging of data or exclusion of transactions with invalid attributes. Probably the single most common cause of failure with data programmes – and indeed or ERP projects and acquisitions and any other type of complex endeavour – is risk 7, poor programme management. Not only do programme managers have to be competent, they should also be steeped in data matters and have a good grasp of the factors that differentiate data programmes from more general work. Relating to the other highlighted risks in this section, the programme could spend two years doing work without surfacing anything much and then, when they do make their first delivery, this is a dismal failure. In the same vein, exclusive focus on strategic capabilities could prevent attention being paid to pressing business needs. At the other end of the spectrum, interim deliveries could spiral out of control, consuming all of the data team’s time and meaning that the strategic objective is never reached. A better approach is that targeted and prioritised interims help to address pressing business needs, but also inform more strategic work. From the other perspective, progress on strategic work-streams should be leveraged whenever it can be, perhaps in less functional manners that the eventual solution, but good enough and also helping to make sure that the final deliveries are spot on . 15. Not enough up-front focus on understanding key business decisions and the information necessary to take them. Analytic capabilities do not focus on what people want or need, leading to poor adoption and benefits not being achieved. 16. In the absence of the above, the programme becoming a technology-driven one. The business gets what IT or Change think that they need, not what is actually needed. There is more focus on shiny toys than on actionable information. The programme forgets the needs of its customers. 17. A focus on replicating what the organisation already has but in better tools, rather than creating what it wants. Beautiful data visualisations that tell you close to nothing. Long lists of existing reports with their fields cross-referenced to each other and a new solution that is essentially the lowest common denominator of what is already in place; a step backwards. The other most common reasons for data programme failure is a lack of focus on user needs and insufficient time spent with business people to ensure that systems reflect their requirements . 18. Lack of leverage of new data capabilities in front-end / digital systems. These systems are less effective. The data team is jealous about its capabilities being the only way that users should get information, rather than adopting a more pragmatic and value-added approach. It is important for the data team to realise that their work, however important, is just one part of driving a business forward. Opportunities to improve other system facilities by the leverage of new data structures should be taken wherever possible. 19. Education is an afterthought, training is technology- rather than business-focused. People neither understand the capabilities of new analytical tools, nor how to use them to derive business value. Again this leads to poor adoption and little return on investment. 20. Declaring success after initial implementation and training. Without continuing to water the immature roots, the plant withers. Early adoption rates fall and people return to how they were getting information pre-launch. This means that the benefits of the programme not realised. Finally excellent technical work needs to be complemented with equal attention to business-focussed education, training using real-life scenarios and assiduous follow up. These things will make or break the programme . Of course I don’t claim that the above list is exhaustive. You could successfully mitigate all of the above risks on your data programme, but still get sunk by some other unforeseen problem arising. There is a need to be flexible and to adapt to both events and how your organisation operates; there are no guarantees and no foolproof recipes for success . My recommendation to data professionals is to develop your own approach to risk management based on your own experience, your own style and the culture within which you are operating. If just a few of the items on my list of risks can be usefully amalgamated into this, then I will feel that this article has served its purpose. If you are embarking on a data programme, maybe your first one, then be warned that these are hard and your reserves of perseverance will be tested. I’d suggest leveraging whatever tools you can find in trying to forge ahead. It is also maybe worth noting that, somewhat contrary to my point that data programmes are different, a few of the risks that I highlight above could be tweaked to apply to more general programmes as well. Hopefully the things that I have learnt over the last couple of decades of running data programmes will be something that can be of assistance to you in your own work. Indeed sometimes an award-winning one. For an examination of this area you can start with A more appropriate metaphor for Business Intelligence projects. While written back in 2008-9 the content of this article is as pertinent today as it was back then. I cover this area in greater detail in Is outsourcing business intelligence a good idea? Probably a bad idea to make this stakeholder unhappy (see also Themes from a Chief Data Officer Forum – the 180 day perspective, note ). See Vision vs Pragmatism, Holistic vs Incremental approaches to BI and Tactical Meandering for further background on this area. This area is treated in the strategy articles appearing in note  above. In addition, some potential approaches to elements of effective requirements gathering are presented in Scaling-up Performance Management and Developing an international BI strategy. Something I stress forcibly in Recipes for Success? The above image appears in my updated  seminar deck Data Management, Analytics and People: An Eternal Golden Braid. It is featured on a slide titled “Why Data Management? – The negative case” . So what was the point that I was so keen to make? …and the image on the left relates most directly to the last item of bulleted text on the right-hand side . Before getting into the meat of this article, an aside which may illuminate where I am coming from. I currently live in London, a city where I was born and to which I returned after a sojourn in Cambridge while my wife completed her PhD. Towards the end of my first period in London, we lived on a broad, but one-way road in West London. One day we received notification that the road was going to be resurfaced and moving our cars might be a useful thing to consider. The work was duly carried out and our road now had a deep black covering of fresh asphalt , criss-crossed by gleaming and well-defined dashed white lines demarking parking bays. Within what seemed like days, but was certainly no more than a few weeks, roadworks signs reappeared on our road, together with red and white fencing, a digger and a number of people with pneumatic drills  and shovels. If my memory serves me well, it was the local water company (Thames Water) who visited our road first. The efforts of the Thames Water staff, while no doubt necessary and carried out professionally, rather spoiled our pristine road cover. I guess these things happen and coordination between local government, private firms and the sub-contractors that both employ cannot be easy . However what was notable was that things did not stop with Thames Water. Over the next few months the same stretch of road was also dug up by both the Electricity and Gas utilities. There was a further set of roadworks on top of these, but my memory fails me on which organisation carried these out and for what purpose ; we are talking about events that occurred over eight years ago here. The result of all this uncoordinated work was a previously pristine road surface now pock-marked by a series of new patches of asphalt, or maybe other materials; they certainly looked different and (as in the above photo) had different colours and grains. Several of these patches of new road covering overlapped each other; that is one hole redug sections previously excavated by earlier holes. Also the new patches of road surface were often either raised or depressed from the main run of asphalt, leading to a very uneven terrain. I have no idea how much it cost to repave the road in the first instance, but a few months of roadworks pretty much buried the repaving and led to a road whose surface was the opposite of smooth and consistent. I’d go so far as to say that the road was now in considerably worse condition than before the initial repaving. In any case, it could be argued that the money spent on the repaving was, for all intents and purposes, wasted. After all this activity, our road was somewhat similar to the picture at the top of this article, but its state was much worse with more extensive patching and more overlapping layers. To this day I rather wish I had taken a photograph, which would also have saved me some money on stock photos! I understand that each of the roadworks was in support of something that was probably desirable. For example, better sewerage, or maintenance to gas supplies which might otherwise have become dangerous. My assumption is that all of the work that followed on from the repaving needed to be done and that each was done at least as well as it had to be. Probably most of these works were completed on time and on budget. However, from the point of view of the road as a whole, the result of all these unconnected and uncoordinated works was a substantial deterioration in both its appearance and utility. In summary, the combination of a series of roadworks, each of which either needed to be done or led to an improvement in some area, resulted in the environment in which they were carried out becoming degraded and less fit-for-purpose. A series of things which could be viewed as beneficial in isolation were instead deleterious in aggregate. At this point, the issue that I wanted to highlight in the data world is probably swimming into focus for many readers. Returning to the slide I reproduce above, my assertion – which has been borne out during many years of observing the area – is that Change Programmes and Projects, if not subject to appropriately rigorous Data Governance, inevitably led to the degradation of data assets over time. Here both my roadworks anecdote and the initial photograph illustrate the point that I am looking to make. Over the last decade or so, the delivery of technological change has evolved  to the point where many streams of parallel work are run independently of each other with each receiving very close management scrutiny in order to ensure delivery on-time and on-budget . It should be recognised that some of this shift in modus operandi has been as a result of IT departments running projects that have spiralled out of control, or where delivery has been significantly delayed or compromised. The gimlet-like focus of Change on delivery “come Hell or High-water” represents the pendulum swinging to the other extreme. What this shift in approach means in practice is that – as is often the case – when things go wrong or take longer than anticipated , areas of work are de-scoped to secure delivery dates. In my experience, 9 times out of 10 one of the things that gets thrown out is data-related work; be that not bothering to develop reporting on top of new systems, not integrating new data into existing repositories, not complying with data standards, or not implementing master data management. Looking more broadly at Change Programmes, even without the curse of de-scopes, their focus is seldom data and the expertise of Change staff is not often in data matters. Because of this, such work can indeed seem to be analogous to continually digging up the same stretch of road for different purposes, combined with patching things up again in a manner that can sometimes be barely adequate. Extending our metaphor , the result of Change that is not controlled from a data point of view can be a landscape with lumps, bumps and pot-holes. Maybe the sewer was re-laid on time and to budget, but the road has been trashed in the process. Perhaps a new system was shoe-horned in to production, but rendered elements of an Analytical Repository useless in the process. Avoiding these calamities is the central role of Data Governance. What these examples also stress is that, rather than the dry, policy-based area that Data Governance is often assumed to be, it must be more dynamic and much more engaged in Change Portfolios. Such engagement should ideally be early and in a helpful manner, not late and in a policing role. The analogy I have employed here also explains why leveraging existing Governance arrangements to add in a Data Governance dimension seldom works. This would be like asking the contractors engaged in roadworks to be extra careful to liaise with each other. This won’t work as there is no real incentive for such collaboration, the motivation of getting their piece of work done quickly and cheaply will trump other considerations. Instead some independent oversight is required. Like any good “regulator” this will work best if Data Governance professionals seek to be part of the process and focus on improving it. The alternative of simply pointing out problems after the fact adds much less business value. While I don’t claim to have the same acuity of mind as Conan-Doyle’s most famous creation, I can confirm that you can learn a lot about the need for Data Governance by simply closely observing the damage done by roadworks. I have updated my latest deck to use a different photo due to a dispute with the company I purchased the original photo from. Which you may be glad to hear is followed directly by one titled “Why Data Management? – The positive case”. It may be noted that I am going through a minimalist phase in my decks for public speaking. Indeed I did toy with having a deck consisting primarily of images before chickening out. Of course one benefit of being text-light is that you can focus on different elements and tell different stories for different audiences (see Presenting in Public). Indeed sometime in the late 1980s or early 1990s I was approached by one of the big consultancies about a job on a project to catalogue all proposed roadworks across London in an Oracle database. The objective of this was to better coordinate roadworks. I demurred and I believe that the project was unsuccessful, certainly by the evidence of what happened to our road. It could well have been Thames Water again – the first time sewers, the second household water supply. It might have been British Telecom, but it probably wasn’t a cable company as they had been banned from excavations in Westminster after failing to make good after previous installations. Rudolf Clausius in 1865, with reference to the Second Law of Thermodynamics. As with the last time I used this word (see the notes section of Alphabet Soup) and also as applies with the phenomenon in the narual world, evolution implies change, but not necessarily always improvement. Or perhaps more realistically to ensure that delays are minimised and cost overruns managed downwards. Frequently it must be added because of either insufficient, or the wrong type of up-front analysis, or because a delivery timeframe was agreed based on some external factor rather than on what could practically be delivered in the time available. Oftentimes both factors are present and compound each other. The overall timetable is not based on any concrete understanding of what is to be done and analysis is either curtailed to meet timeframes, or – more insidiously – its findings are massaged to fit the desired milestones. The author would like to acknowledge the input and assistance of his fellow delegates, both initially at the IRM(UK) CDO Executive Forum itself and later in reviewing earlier drafts of this article. As ever, responsibility for any errors or omissions remains mine alone. Time flies as Virgil observed some 2,045 years ago. A rather shorter six months back I attended the inaugural IRM(UK) Chief Data Officer Executive Forum and recently I returned for the second of what looks like becoming biannual meetings. Last time the umbrella event was the IRM(UK) Enterprise Data and Business Intelligence Conference 2015 , this session was part of the companion conference: IRM(UK) Master Data Management Summit / and Data Governance Conference 2016. This article looks to highlight some of the areas that were covered in the forum, but does not attempt to be exhaustive, instead offering an impressionistic view of the meeting. One reason for this (as well as the author’s temperament) is that – as previously – in order to allow free exchange of ideas, the details of the meeting are intended to stay within the confines of the room. One area of interest for me was how things had moved on in the intervening months and I’ll look to comment on this later. By way of background, some of the attendees were shared with the November 2015 meeting, but there was also a smattering of new faces, including the moderator, Peter Campbell, President of DAMA’s Belgium and Luxembourg chapter. Sectors represented included: Distribution, Extractives, Financial Services, and Governmental. The discussions were wide ranging and perhaps less structured than in November’s meeting, maybe a facet of the familiarity established between some delegates at the previous session. However, there were four broad topics which the attendees spent time on: Management of Change (Theme 5); Data Privacy / Trust; Innovation; and Value / Business Outcomes. Perhaps this also reflects that while CDO 1.0s focussed on remedying issues with data landscapes and thus had a strong risk mitigation flavour to their work, CDO 2.0s are starting to look more at value-add and delivering insight (Theme 6). Of course some organisations are yet to embark on any sort of data-related journey (CDO 0.0 maybe), but in the more enlightened ones at least, the CDO’s focus is maybe changing, or has already changed (Theme 3). The title of Managing Change has been chosen (by the author) to avoid any connotations of Change Management. It was recognised by the group that there are two related issues here. The first is the organisational and behavioural change needed to both ensure that data is fit-for-purpose and that people embrace a more numerical approach to decision-making; perhaps this area is better described as Cultural Transformation. The second is the fact (also alluded to at the previous forum) that Change Programmes tend to have the effect of degrading data assets over time, especially where monetary or time factors lead data-centric aspects of project to be de-scoped. On Cultural Transformation, amongst a number of issues discussed, the need to answer the question “What’s in it for me?” stood out. This encapsulates the human aspect of driving change, the need to engage with stakeholders  (at all levels) and the importance of sound communication of what is being done in the data space and – more importantly – why. These are questions to which an entire sub-section of this blog is devoted. On the potentially deleterious impact of Change  on data landscapes, it was noted that whatever CDOs build, be these technological artefacts or data-centric processes, they must be designed to be resilient in the face of both change and Change. As referenced above, the genesis of this topic was GDPR. However, it was interesting that the debate extended from this admittedly important area into more positive territory. This related to the observation that the care with which an organisation treats its customers’ or business partners’ data (and the level of trust which this generates) can potentially become a differentiator or even a source of competitive advantage. It is good to report an essentially regulatory requirement possibly morphing into a more value-added set of activities. It might be expected that discussions around this topic would focus on perennials such as Big Data or Advanced Analytics. Instead the conversation was around other areas, such as distributed / virtualised data and the potential impact of Block Chain technology  on Data Management work. Inevitably The Internet of Things  also featured, together with the ethical issues that this can raise. Other areas discussed were as diverse as the gamification of Data Governance and Social Physics, so we cast the net widely. Here we have the strongest link back into the original ten themes (specifically Theme 6). Of course the acme of data strategies is of little use if it does not deliver positive business outcomes. In many organisations, focus on just remediating issues with the current data landscape could consume a massive chunk of overall Change / IT expenditure. This is because data issues generally emanate from a wide variety of often linked and frequently long-standing organisational weaknesses. These can be architectural, integrational, procedural, operational or educational in nature. One of the challenges for CDOs everywhere is how to parcel up their work in a way that adds value, gets things done and is accretive to both the overall Business and Data strategies (which are of course intimately linked as per Theme 10). There is also the need to balance foundational work with more tactical efforts; the former is necessary for lasting benefits to be secured, but the latter can showcase the value of Data Management and thus support further focus on the area. While the risk aspect of data issues gets a foot in the door of the Executive Suite, it is only by demonstrating commercial awareness and linking Data Management work to increased business value that any CDO is ever going to get traction. (Theme 6). The next IRM(UK) CDO Executive Forum will take place on 9th November 2016 in London – if you would like to apply for a place please e-mail jeremy.hall@irmuk.co.uk. I’ll be speaking at IRM(UK) ED&BI 2016 in November. Book early to avoid disappointment! Wikipedia offers a digestible summary of the regulation here. Anyone tempted to think this is either a parochial or arcane area is encouraged to calculate what the greater of €20 million and 4% of their organisation’s worldwide turnover might be and then to consider that the scope of the Regulation covers any company (regardless of its domicile) that processes the data of EU residents. The capital “c” is intentional. Harvard Business Review has an interesting and provocative article on the subject of Block Chain technology. Several weeks back now, I presented at IRM’s collocated European Master Data Management Summit and Data Governance Conference. This was my second IRM event, having also spoken at their European Data Warehouse and Business Intelligence Conference back in 2010. The conference was impeccably arranged and the range of speakers was both impressive and interesting. However, as always happens to me, my ability to attend meetings was curtailed by both work commitments and my own preparations. One of these years I will go to all the days of a seminar and listen to a wider variety of speakers. Given my lack of exposure to the event as a whole, I will restrict myself to writing about a comment that came up in the question section of my slot. As per my article on presenting in public, I try to always allow time at the end for questions as this can often be the most interesting part of the talk; for delegates and for me. My IRM slot was 45 minutes this time round, so I turned things over to the audience after speaking for half-an-hour. There were a number of good questions and I did my best to answer them, based on past experience of both what had worked and what had been less successful. However, one comment stuck in my mind. For obvious reasons, I will not identify either the delegate, or the organisation that she worked for; but I also had a brief follow-up conversation with her afterwards. She explained that her organisation had in place a formal data governance process and that a lot of time and effort had been put into communicating with the people who actually entered data. In common with my first pillar, this had focused on educating people as to the importance of data quality and how this fed into the organisation’s objectives; a textbook example of how to do things, on which the lady in question should be congratulated. However, she also faced an issue; one that is probably more common than any of us information professionals would care to admit. Her problem was not at the bottom, or in the middle of her organisation, but at the top. In particular, though data governance and a thorough and consistent approach to both the entry of data and transformation of this to information were all embedded into the organisation; this did not prevent the leaders of each division having their own people take the resulting information, load it into Excel and “improve” it by “adjusting anomalies”, “smoothing out variations”, “allowing for the impact of exceptional items”, “better reflecting the opinions of field operatives” and the whole panoply of euphemisms for changing figures so that they tell a more convenient story. In one sense this was rather depressing, someone having got so much right, but still facing challenges. However, it also chimes with another theme that I have stressed many times under the banner of cultural transformation; it is crucially important than any information initiative either has, or works assiduously to establish, the active support of all echelons of the organisation. In some of my most successful BI/DW work, I have had the benefit of the direct support of the CEO. Equally, it is is very important to ensure that the highest levels of your organisation buy in before commencing on a stepped-change to its information capabilities. My experience is that enhanced information can have enormous payback. But it is risky to embark on an information programme without this being explicitly recognised by the senior management team. If you avoid laying this important foundation, then this is simply storing up trouble for the future. The best BI/DW projects are totally aligned with the strategic goals of the organisation. Given this, explaining their objectives and soliciting executive support should be all the easier. This is something that I would encourage my fellow information professionals to seek without exception.